With its sulfuric acid clouds, temperatures over 450°C, and 92 times the surface pressure of Earth, Venus is one of the most hostile planetary environments in the solar system. Prior missions have only survived hours! But an automaton (or clockwork mechanical robot) could solve this problem. 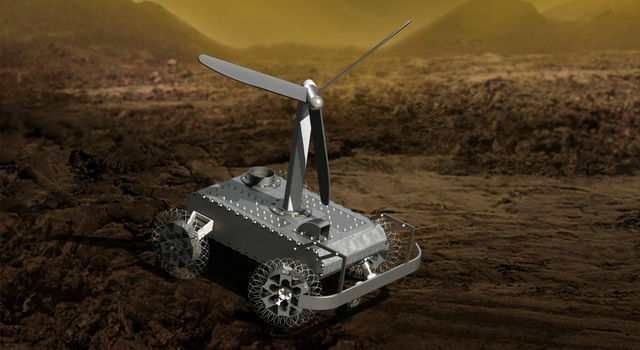 By utilizing high-temperature alloys, the clockwork rover would survive for months, allowing it to collect and return valuable long-term science data from the surface of Venus. Learn more about the automaton rover, here. At NASA’s Jet Propulsion Laboratory, we are turning this innovative concept into reality under a NASA Innovative Advanced Concepts funded study. We’ve been working hard on this project, but we could use your help to address some of our toughest mechanical design challenges! The Mechanical Maker Challenges seek to engage your creativity to invent mechanical ways of performing traditionally electrical tasks. Challenges will be released in series, one at a time. If your design wins the challenge, the prize is an all-expenses-paid trip to JPL to talk about your design with real NASA-JPL engineers and get a behind-the-scenes look at how we build spacecraft. See other challenges in this series, here and here. How do you build a spacecraft that can last more than two hours on Venus? 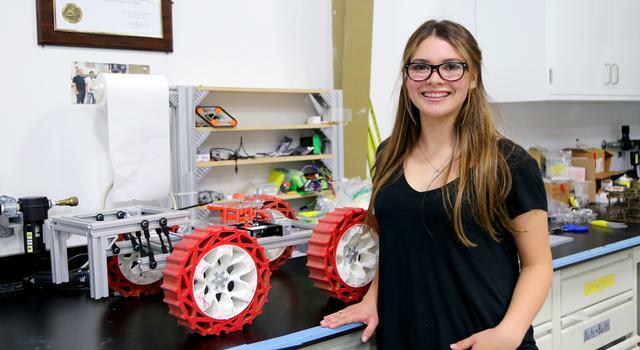 JPL intern Tonya Beatty is helping a team at NASA/JPL design a new kind of extreme rover to turn an impossible idea into a reality.